Home › Home Improvement › Real Thick (3.1 Mil) Double Bond Commercial Grade Heavy Duty Packing Tape 1.8..
Real Thick (3.1 Mil) Double Bond Commercial Grade Heavy Duty Packing Tape 1.8..
3.1 mil thick. Not thin, not flimsy, real commercial grade heavy duty packing tape. Size:6 Rolls, 3.1 mil thick This tape is 3.1 Mil thick. It is not thin and itis not flimsy. This is a real commercial grade heavy duty packaging tape. Withthis tape, you will save money but not run into numerous problems associatedwith many lower priced tapes. If you have any feedback, be it positive ornegative, please do let us know and we will never stop trying to make thistape better. The reviews are by real customers. We do not offer free ordiscounted tapes for "honest and unbiased" reviews. If you have a less thansatisfactory experience with this tape, we especially would want to know whyso that we can improve. 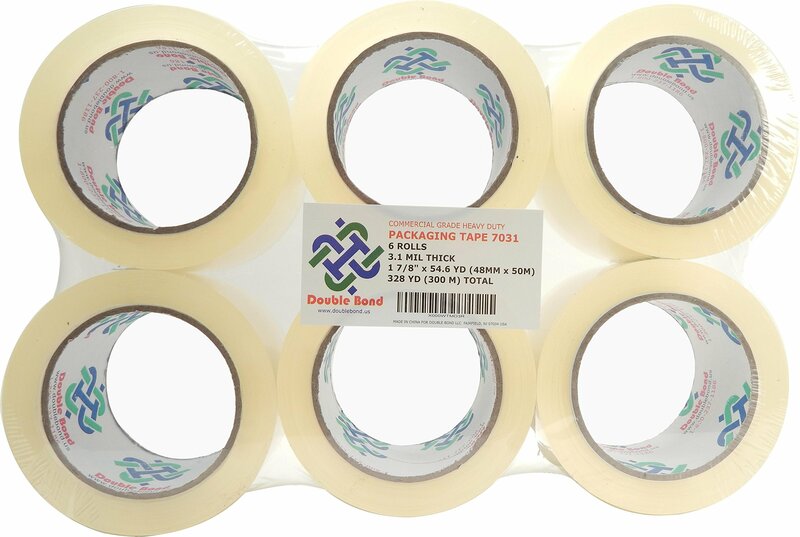 We need your help to develop a real good qualitypacking tape for a very good price!